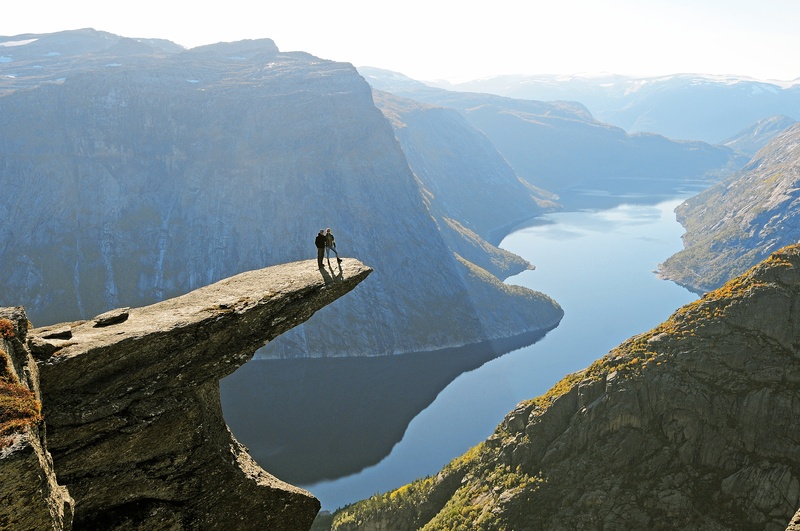 Trolltunga (“Trolls` Tongue”) is a most special mountain rock formation which has become extremely popular, visited by hikers from all over the world. 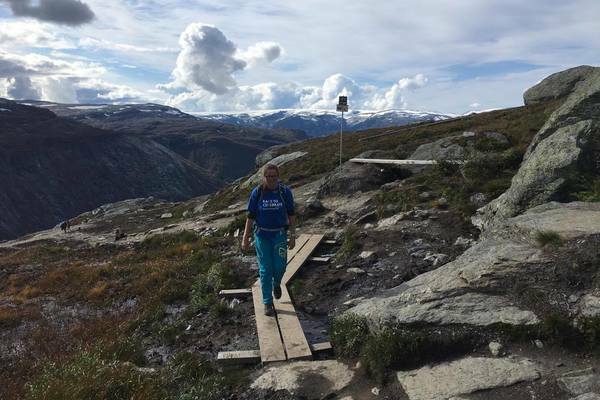 This 10 – 12 hours hike in high mountains is both challenging and demanding, which requires that you are in physically good condition. 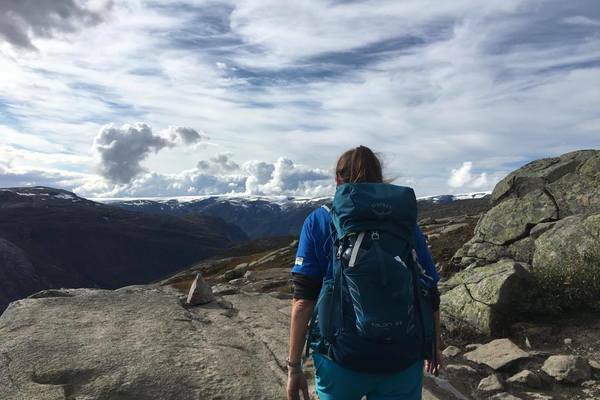 Our aim for this trip is to combine the hike to Trolltunga to a 5-days bicycle trip in Hardanger. Totally this trip lasts for five days with four days of bicycling and two days of hiking. This trip is only available as guided. Welcome to Voss, your hotel is located by the train station in Voss. One from our staff will meet you in the hotel and you will get together with the rest of the group. We will help you with adjustment of the equipment and so on before we start our “test-ride”. We will have a short bicycle trip towards Mølstertunet (6km), this is a 4 km long hill, before we continue flat the last 2 km towards Mølstertunet. From Mølstertunet we go for a short but steep hike up Mølsterberget before we bicycle back to the hotel. A three course dinner will be served in the evening. On the way we will pass Skjervesfossen Waterfall before we continue our (steep) descent through some hairpin bends towards Granvin. At Granvin we will see the Hardanger Fjord for the first time, and we will be biking along the fjord side to Kvanndal. In Kvanndal we will be waiting for the ferryboat to carry us over to Utne, crossing the fjord to Utne hotel where we will be staying for the night. A 3 course dinner will be served in the evening. We start our day very early (departure at 06.00). 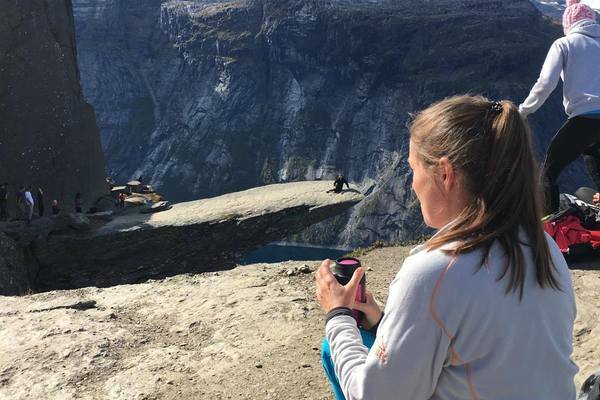 A car/ bus will transfer you from Utne to Odda and Tyssedal where we start our hike towards Trolltunga. The hike length are 21 km, and we have to be prepared for a long day outside. 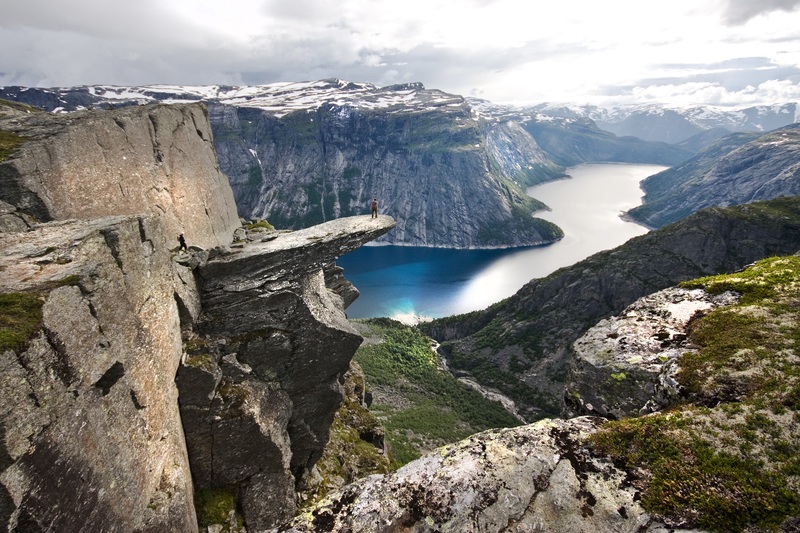 After the hike we transfer you by car to your new hotel in Ulvik, Brakanes Hotel. A dinner will be served in the evening. From the top of the Skjervsfossen Waterfall and towards Voss the terrain are pretty flat and comfortable to bicycle. In the town center of Voss you will find Fleischers and your hotel for the night. Dinner will be served in the evening. After breakfast you transfer to wherever you are going next.